Fads continuously sweep through the technology world and this has caused people to go after the greatest and latest things in the industry. Virtualization is one of computer technologies that have been widely used. It provides substantial merits and can provide much more than just typical gimmicks. 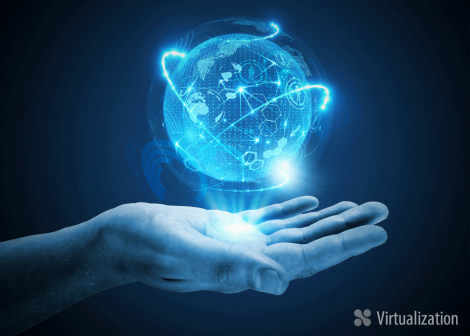 There are different reasons why virtualization is chosen. As an example, users are facing hardware underutilization issues. Today, even low-cost server solutions could already provide significant processing power, especially for standard data access tasks. Processing power continues to doubles every two years and people are getting better server solutions each year. In the next few decades, people would get processing power that seems science-fictional for people today. Affordable server in 2016 could even surpass high-end servers available in 1996. Due to this reason, many companies and data centers utilize only a fraction of their hardware resources. Studies say that the amount of utilization can be under 25 percent most of the time. This could mean wasted resources even if we are using affordable server solutions. Unfortunately, even if servers are underutilized, they require the same amount of cooling and power requirements. This translates to financial waste and doesn’t contribute to environmental preservation efforts. This is especially true when companies are using “one server, one application” design. It means that many dedicated servers are severely underutilized. Virtualization allows us to run multiple operating systems in a single server. Multiple applications can be consolidated onto a single machine. Hence, virtualization should be a cost-effective and sound solution to underutilization problems. Another issue that affects data centers is server sprawling, causing them to run out of space. Demands for cloud and other server-based solutions have continued to increase. Virtualization should be a cost-effective and sound solution to this kind of problem. Multiple users can be hosted on a physical server. It means that companies can postpone the purchase of new servers and they can maximize the utilization of a single server. This should provide a huge benefit for many companies and organizations. Another obvious advantage of using virtualization is the reduction of energy. As companies add new servers into their data centers, the electrical costs for running the servers and operating cooling solutions can be quite huge. If there are fewer servers in the data centers, there will be reduced requirements for cooling and operating servers. This is an elementary calculation that any businessperson would understand. The impact on energy bill can be quite substantial. The rising costs of IT system could also contribute to the usefulness of virtualization. It is clear that a data center with many servers in it won’t take care of itself. As an example, some errors would require servers to be restarted. Servers would also need to be updated, secured, optimized, defragmented and others. The larger the data center, the more IT administrators who are needed to manage our data centers. Smaller companies that need to survive in a highly competitive environment. With virtualization, companies can reduce the number of physical servers and limit the overall costs.